Description: Phone holder keeps phone conveniently at hand in the car or at home. The holder can stick onto any glass surface using a special strong suction vacuum mount. Features: ---High quality mobile phone holder for your Smartphone! ---Takes only seconds to install. ---Gummy base for attaching to dashboard, table surface or other non-glazed surface. ---Can support various weight phones. ---Both arms grips nicely to hold your device securely and protecting it from scratches. ---Provides a stable viewing environment. 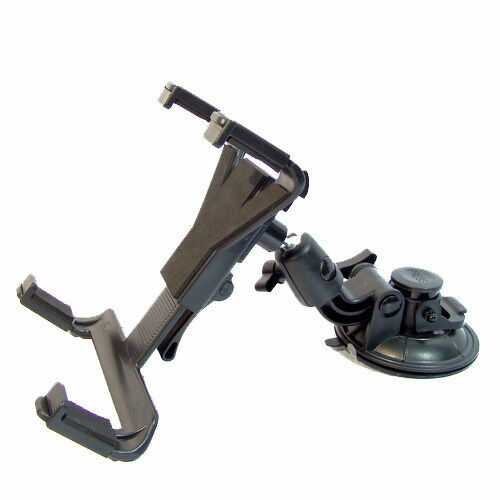 ---Phone holder rotates 180 degrees for ideal viewing. ---Absorbability more strong. ---Color: Black.